One thing I have learnt about marathon training is that no matter how well you set your training plan, eat well, sleep well etc… things do not go to plan! The beast from the east hit us… twice! Causing mayhem generally but causing me to go off plan and change my runs as it was just too cold or too dangerous to be out road running. Fortunately im a member of a local gym so I was able to get in some shorter runs on a treadmill, but not even my dedication to training could give me motivation to do a 16 mile run run on a treadmill! I am a great lover of plans and lists so this has caused me lots of stress and worry that I have had to change what I am doing but you cannot plan for every eventuality and have to do the best you can. It has definitely given my knee a bit of rest which is helping, as well as me sticking to my strengthening exercises and stretches and the dreaded foam roller which is torture! Whilst I was doing the shorter runs last week I had been keeping a close eye on the weekend forecast which was beast from the east 2… fortunately the snow hit us on the Saturday and although it was freezing it was safe enough Sunday for me to get out and do my longest run yet of 18 miles! I feel so relieved to have that under my belt. My knee is feeling it now but again im icing it regularly and now having a few rest days to recover. Lateral knee pain isn’t the only knee issue that troubles runners, especially those increasing their mileage whilst training for an event. Runners are often plagued by Patella femoral pain (or pain in the front of their knee/kneecap). With this condition both knees can be affected and most pain is felt when bending the knee. Running, a repetitive bending of the knee, can cause the patella (knee cap) to compress against the thigh bone (Knott,2018). There are lots of reported reasons as to why this condition can occur ; it can be weak hip muscles which cause abnormal pulling on the patella, a physiotherapist or personal trainer will be able to work with you for this to give you specific excercises to help strengthen these muscles; poor foot posture, having low arch feet can cause your leg to roll inwards again putting strain on the patella, a Podiatrist will be able to assess this for you and give you insoles and exercises that will help to correct this; injury to the knee, repetitive stress could cause acute injury to the area. If you are suffering with pain in the knee then its always worth getting it checked out early on to try to prevent further issues! 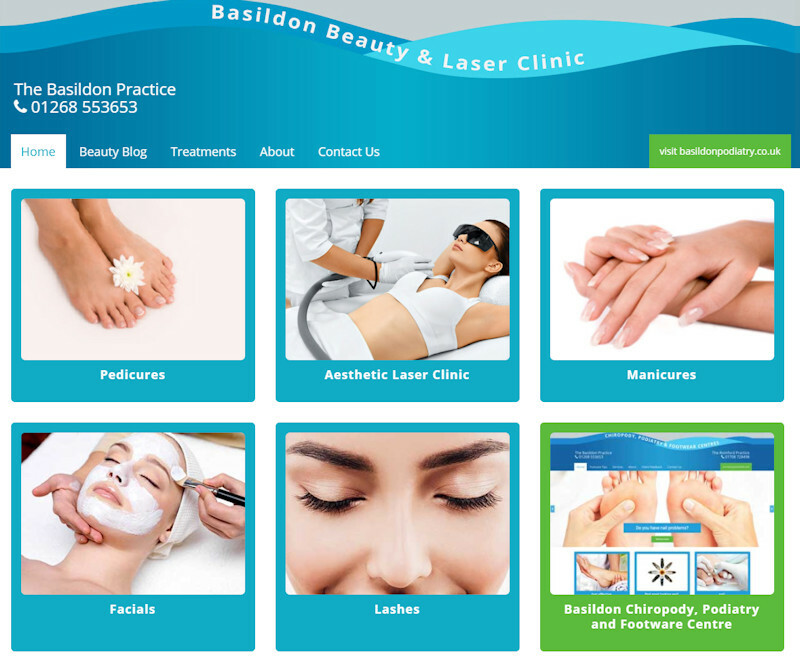 Did you know about the range of beauty treatments offered at the Basildon Practice? Over the past few years I have trained for and run a few half marathons, I have always enjoyed running but would train for an event and stop running once I finished it. I was never very good at training well and relied on my body just to perform on the day. However when I found out back in October that I had secured a place in the London Marathon I decided I had to change this if I wanted to stay injury free and run the best time at the marathon I could. I started to gradually increase my total weekly running mileage between October and the new year so that when I started my official training program (totally new to me!) it wouldn't seem like such a shock. If you feel pain, then rest and seek support from a Podiatrist or Physiotherapist. This year we are proud to support one of our team members in raising money for Alzheimer's disease .Laura Hembling Podiatrist and Diabetic foot specialist has been accepted to run in the London marathon in April 2018. As a practice we will be helping to raise money for this very worthwhile cause. We look forward tracking her training right through to the finish line. We are looking forward to looking after Laura's feet and well being as she embarks on such a worthwhile cause. 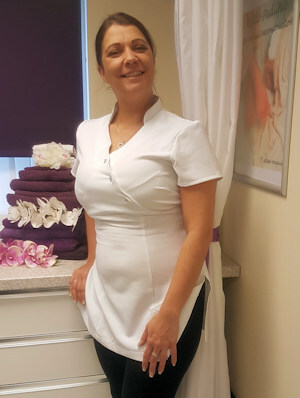 All beauty treatments are carried out in the relaxing, friendly therapy room within the Basildon Podiatry surgery. Basildon Podiatry & Laser Clinic have a new team member, Laura Draper. 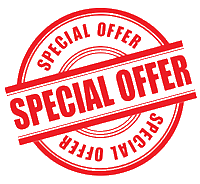 To claim your gift just telephone 01268 553653 and quote "LD"
10 Our Podiatrists are HCPC registered & members of the Society of Chiropodists and Podiatrists (The only registration recognised by GPs).